If rolling through the traffic is your concern, so we have the solution to it, coming from the house of Volkswagen. 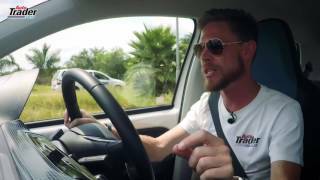 We are talking about the Volkswagen Up 2017. The model isn’t special because of its small size but is also special with its gorgeous body, upscale interior and a new powertrain. 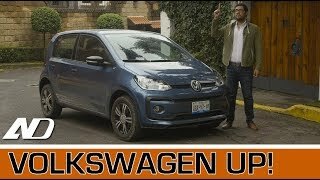 Let us have a look at the review of Volkswagen Up 2017 to know in detail about it. The interior of Volkswagen Up 2017 gets drastic changes. The list of major changes includes the dash panel primarily. Here you can notice dark cabin getting adorned by the yellow accents. The same blend can be further noticed over the seats and the door panels. There is a new steering wheel now that hides redesigned instrument cluster while the HVAC and radio controls too get bit of modification. Talking about infotainment segment, buyers will get company’s Smartphone integration getting accompanied with optional phone mount, navigation system and on-board computer functions. 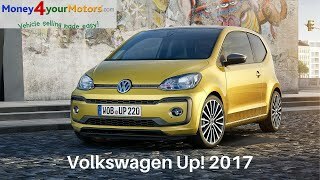 Thus rounding up the interior details of Volkswagen Up 2017 I would call it new, bold and loaded with latest tech upgrades. The exterior of Volkswagen Up 2017 gets a new design cue that commendably competes with the current automotive industry. Starting with the front fascia we have the traditional grille sitting amidst the LED encrusted headlights. Beneath this setup we have a newly designed bumper getting complimented by black trim pieces. Getting to the rear end you’ll notice a massive windshield and large side glasses on either corner. The sharp creases and the trim work with the beltline running across the hood impeccable splatter the sportier appearance and make the exterior details of Volkswagen Up 2017 much more appealing and innovative. 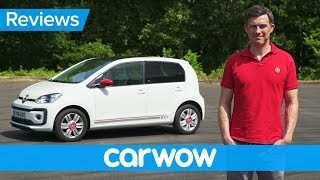 Powering the Volkswagen Up 2017 is a 1.0 liter TSI inline three cylinder engine generating total output of 89 hp and peak torque of 160 nm mating to six-speed manual transmission. 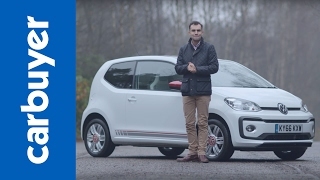 With this the top speed of Volkswagen Up 2017 touches the mark of 115 mph while the 0-62 mph sprint can be knocked in just 10 seconds.